As the world celebrates the 70th anniversary of the founding of Israel, Jewish Community Partners is working with all Memphis Jewish organizations, synagogues, schools, and other entities to coordinate and market Israel programming under the Israel@70 brand. We've formed a special committee with representatives from each congregation, agency, and school, and hired Melinda Lejman as a consultant to coordinate Israel@70 programming. 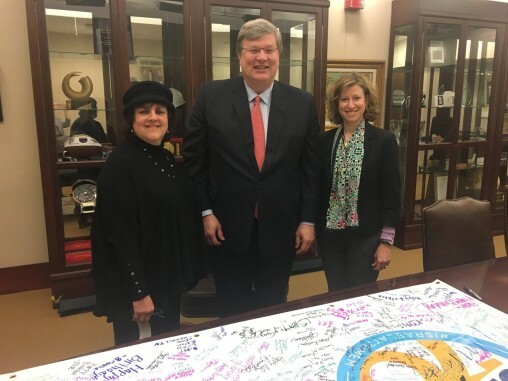 The goal of the campaign is to connect Memphians to Israel in many ways, creating meaningful experiences within the Jewish community and beyond. Check out our Facebook page, Memphis Celebrates Israel at 70, and website, Memphis Thanks Israel. You can also see the Thank you, Israel ad at the bottom of this page, which we ran in print and online editions of the Memphis Flyer. A reverend who has led Christian missions to Israel, and who feels a greater connection to the message of the Gospels by walking through Jerusalem. A teen who spent a summer in Israel with the assistance of Memphis Jewish Federation's Lemsky Endowment Fund, and who summarized the impact of her trip with the Hebrew phrase "eze yofi". A JCP staffer who spent a year in Israel during graduate school ten years ago, as Israel celebrated its 60th anniversary. A lone soldier from Memphis who serves in the IDF and has experienced the "audacity of hospitality" in both Memphis and Israel. These are just a few of the voices you'll hear in JCP's "My Israel Story" series. See the most recent posts in the feed to the right, or you can check out the full series here. Also, see the series featured on the Smart City Memphis blog. 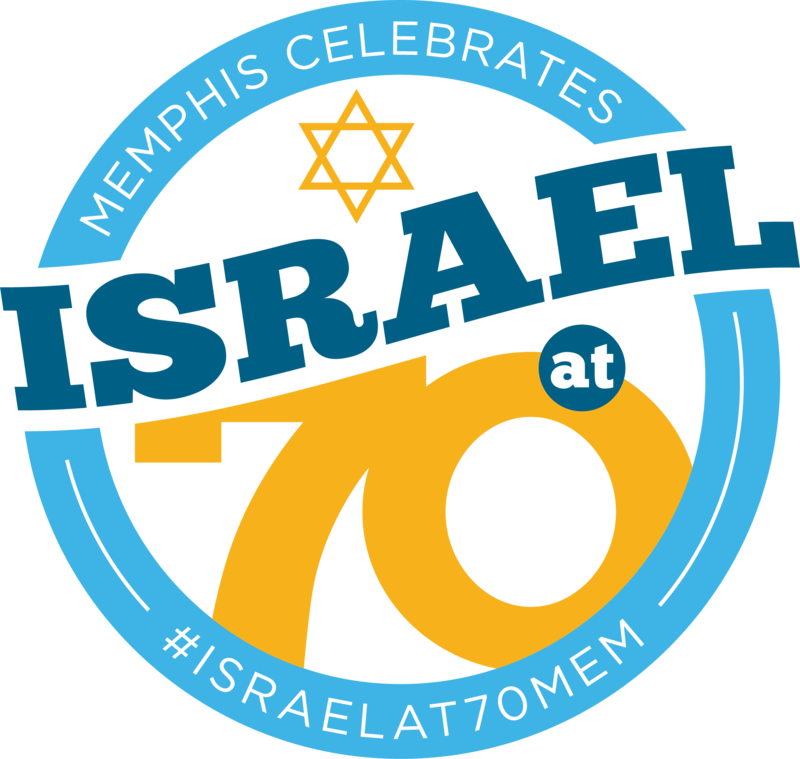 Israel @70 is marked by celebrations hosted by synagogues, Federations, and other organizations throughout Tennessee. In recognition of “the special bond of friendship between the citizens of Tennessee and Israel that inspires the people of Tennessee to stand with the people of Israel in solidarity,” Governor Bill Haslam issued a special proclamation acknowledging Israel’s 70th birthday. Read the full text of the proclamation here. 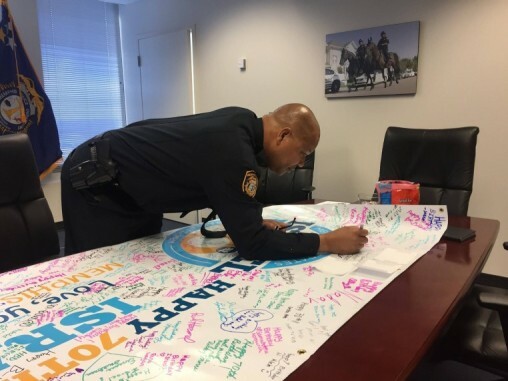 Over 100 Memphians have signed our banner wishing Israel a Happy Birthday-- including some notable Memphians, like Memphis Police Director Michael W. Rallings, Memphis Mayor Jim Strickland, and U.S. Rep. Steve Cohen. The banner will be brought to Israel later this year and displayed in Shoham, our partner city. Send us your "My Israel Story" contribution, in written or video format. Find out about volunteer opportunities. Check out the Israel at 70 Calendar.